(NaturalNews) The recent massacre at the Inland Regional Center in San Bernardino, Calif., in which a married Muslim couple killed 14 people and wounded 21 others is further proof that the surveillance state does not work. Americans have surrendered 100 percent of their privacy for a surveillance state that continues to fail them. Decked out in tactical gear and armed to the teeth, Syed Rizwan Farook, 28, and his Saudi wife of two years, Tashfeen Malik, 27, opened fired inside a mental health facility on Wednesday. According The Washington Times, the young, successful couple may have been "radicalized by Islamist extremists either in the U.S. or during trips to the Middle East, including Saudi Arabia" where they had recently traveled. We're now learning that Farook was in contact with individuals under "FBI scrutiny," according to a US official who spoke on condition of anonymity. As recent as last June, Farook had been in contact with "four people from the Los Angeles area who were previously under investigation by U.S. counterterrorism officials," The Washington Times is reporting. The fact that the FBI was familiar enough with Farook to know that he had been communicating with others who may have held extremists views highlights a pattern involving terror attacks. Following the Nov. 13 ISIS-led massacre in Paris that slaughtered 130 people, it was revealed that US and European intelligence officials were very much familiar with the mastermind behind the attacks: 27-year-old Abdelhamid Abaaoud. Six months before the assault, the U.S. predicted that Abaaoud would orchestrate attacks in the West, namely France, according to a Department of Homeland Security intelligence assessment. DHS reportedly learned about Abaaoud's identity following an anti-terrorism raid in Verviers, Belgium, in January 2015. Two suspected terrorists with radical Islamist ties were killed during the raid in Belgium, and a third was arrested, the Daily Mail reported. Intelligence officials were familiar not only with Abaaoud but with at least half of the terrorists involved in the Paris attacks, reported Collapse.news – posing the question: Why weren't they stopped? Another example of the failed surveillance state, or intelligence officials' decision not to intervene, occurred before the Boston Marathon bombing. Tamerlan and Dzhokhar Tsarnaev were suspected of placing bombs at the finish line of the marathon in April 2013. Officials accused Tamerlane as being self-radicalized after traveling to Dagestan, a republic situated in Russia's North Caucasus. But a Russian newspaper reported that he was actually attending a workshop sponsored by the CIA-linked Jamestown Foundation. 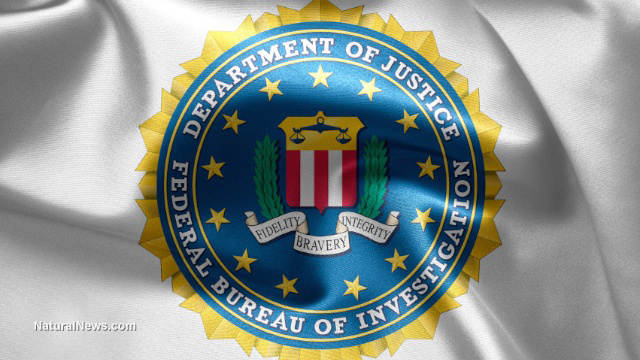 Raising even more red flags was the FBI's admission that they interviewed Tamerlan in 2011, two years before the attack; however, they then dismissed him, finding that he posed no threats to the FBI. Former Homeland Security boss Janet Napolitano admitted that her agency was aware of Tamerlan's trip to Dagestan. Yet, one day after her statement, Secretary of State John Kerry said that Tamerlan returned home "with a willingness to kill people." After the bombing, the government said they found extremist material on Tamerlan's computer dating back to around the time when the FBI interviewed him, yet they somehow still considered him a non-threat. There are likely many other cases of terrorist attacks in which the FBI knew the assailants, and unfortunately, more are likely to occur. While we're essentially powerless against the surveillance state, those residing in regions with Second Amendment protections can act by taking up arms in preparation for future attacks.